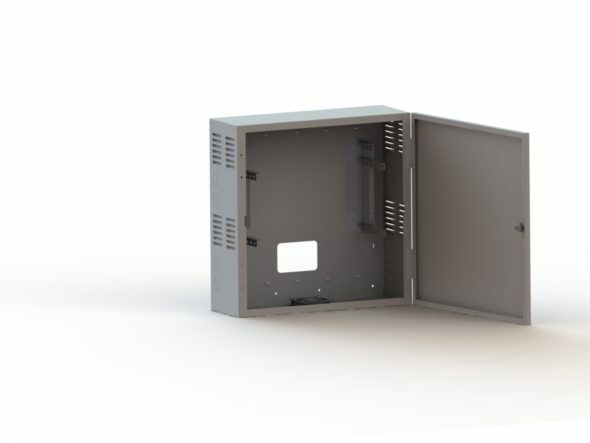 The Slim Wall Enclosure is a sturdy solution for mounting equipment to the wall Where floor space is limited. Perfect for classrooms and retail stores. Equipment can mount vertically or horizontally.